Ming’ai had been a Catholic since she was small. She always insisted on reading the Bible and going to mass, and saying confession to the priest once a year, and this went on unbroken for over 40 years. When she heard the news that the Lord had returned, however, she rejected the Lord’s salvation many times. 11 years later, she heard God’s voice once again and was struck by remorse … Why did it take 11 years for Ming’ai to turn back to the Lord? What on earth could have happened to her? Ming’ai said that, before the year 2000, priests were saying many things during their sermons in churches which slandered, blasphemed, resisted and condemned Eastern Lightning, to try to get believers not to heed Eastern Lightning’s way, and to flatly deny Eastern Lightning’s testimony that the Lord had returned. “If the Lord really has returned, then priests and the Pope would not condemn it. But if the priests refuse to accept Eastern Lightning, then that way must certainly be wrong.” This is how Ming’ai thought at that time, and because she worshiped the priests so much, she adopted an attitude of denial toward the work of Almighty God. 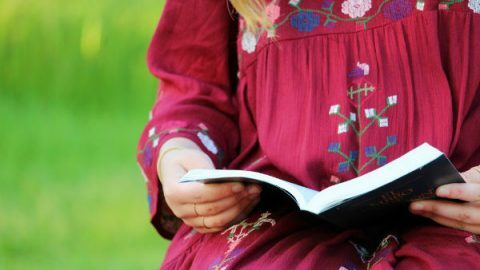 Over the years that followed, those in her church who pursued life, one by one began to believe in Eastern Lightning, and the church’s numbers dwindled. 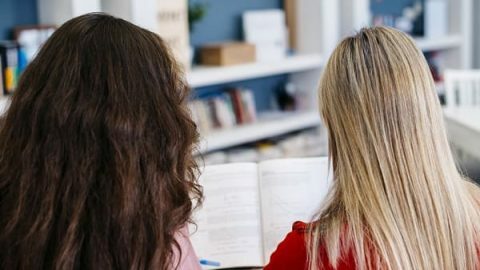 But Ming’ai kept on going to church mass, never once thinking about why the way of Eastern Lightning was so attractive to those in the church who were of good caliber and who pursued life. In 2007, a friend of Ming’ai’s brought a young sister to her home to preach to her about Almighty God’s work of the last days. She told Ming’ai that the Lord had returned, but Ming’ai did not believe it, and in her heart, she held the young sister in contempt. “None of the priests or the nuns believe in it. You’re so young, so what do you know about it when you’ve only just graduated?” thought Ming’ai in her heart, yet she dared not say it. She felt forced to host the sister each time she came, but she didn’t really listen to a word the sister said when she gave fellowship. “Sister, please don’t come again. I’ll be moving to Taiwan soon.” Because Ming’ai was emigrating to Taiwan, she finally found an excuse to refuse the sister. But the sister said that there were also many brothers and sisters in Taiwan, and asked Ming’ai if she’d be willing to attend some gatherings with them. Ming’ai was too embarrassed to refuse, so she reluctantly agreed. 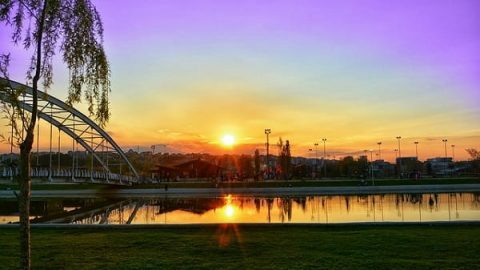 In 2007, Ming’ai emigrated to Taiwan and, before long, sisters from The Church of Almighty God came to see her and give her fellowship about God’s urgent intent to express the truth and save man in the last days, and to invite her to attend gatherings. “They came to see me many times, and I reluctantly attended a few meetings. But I didn’t say a word at any of them, and sometimes I nodded off,” said Ming’ai with a wry smile as she recalled her slipshod behavior at gatherings. Because life in Taiwan is comfortable and easy, Ming’ai gradually became addicted to gambling. She only observed religious rituals externally, went to mass on Sundays and kept on with reading the Bible. But God’s love did not leave her, and from 2007 to 2012, brothers and sisters kept visiting her to help her and support her, testifying to God’s work of the last days. Ming’ai, however, always closed her heart to God. Soon, brothers and sisters saw that Ming’ai really was unwilling to accept God’s work of the last days, and so they stopped visiting her. In 2014, because Ming’ai heard the news report about the May 28 Zhaoyuan case put around by the CCP, her misunderstandings about The Church of Almighty God became even graver. “Although all the brothers and sisters from The Church of Almighty God who I met when I moved from China to Taiwan were all very nice and compassionate people, and I didn’t quite believe that such people could do such things, this story was on the news every day at that time, and I ended up believing that,” said Ming’ai. In 2016, Ming’ai and her family moved to the US. 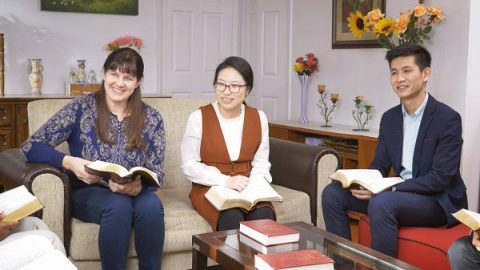 In July 2018, Ming’ai had to go to New York on an errand and, because she couldn’t find the place she was looking for, she asked someone for directions, and so happened to make the acquaintance of a sister from The Church of Almighty God. At that time, Ming’ai didn’t know that this person whom she’d met was a believer in Almighty God. She found this out only when she was chatting with the sister one day, and the sister then took her to hear a sermon. Ming’ai was astonished to hear this. Every time she had come into contact with brothers and sisters from The Church of Almighty God over more than 10 years, the way they lived out, their loving hearts—it all flashed through Ming’ai’s mind. “Almighty God? How come I’ve come across people from The Church of Almighty God again? From China to Taiwan, and from Taiwan to the US, I’ve come across people from The Church of Almighty God. Could it be that this truly is by the Lord’s arrangement? Has the Lord truly returned?” thought Ming’ai. This time, Ming’ai heard God’s words which carried authority and power, and she realized that no human being could have spoken these words. She no longer dared to so lightly deny the fact of the Lord’s return, and so she opened up to the brother about her doubts and began to seek the truth. “If Almighty God is the appearance of the Lord, why don’t the church priests and the Pope accept Him, but instead resist and speak ill of Him? And what was the May 28 Zhaoyuan case all about?” Ming’ai asked the brother from The Church of Almighty God these two questions. The brother was very happy to see Ming’ai take the initiative and give voice to her confusion so as to seek answers and resolve it, and he patiently answered Ming’ai. Ming’ai said that the brother used this scripture to fellowship about the root cause of the Pharisees’ condemnation and resistance of the Lord Jesus: “The chief priests therefore, and the Pharisees, gathered a council, and said: What do we, for this man doth many miracles? If we let him alone so, all will believe in him; and the Romans will come, and take away our place and nation” (John 11:47-48). The Pharisees did this because they were afraid that believers would follow the Lord Jesus, that they would hold no status with the believers and that they would lose their livelihoods. They therefore did everything in their power to condemn and resist the Lord Jesus’ work. 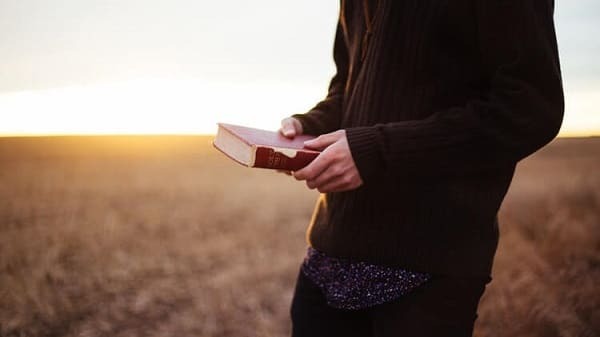 The brother also used this passage of Almighty God’s words: “Those who read the Bible in grand churches recite the Bible every day, yet not one understands the purpose of God’s work. Not one is able to know God; moreover, not one is in accord with the heart of God. They are all worthless, vile men, each standing on high to teach God. Though they brandish the name of God, they willfully oppose Him. Though they label themselves believers of God, they are ones who eat the flesh and drink the blood of man. All such men are devils who devour the soul of man, demons who purposefully disturb those who try to step onto the right path, and stumbling blocks that impede the path of those who seek God. Though they are of ‘robust flesh,’ how are their followers to know that they are antichrists who lead man in opposition to God? How are they to know that they are living devils who specially seek souls to devour?” He fellowshiped that the leaders of the world of religion today were exactly the same as the Pharisees in the time of the Lord Jesus. They stand on high, expounding on the Bible, and yet they never lead people to understand God’s will or experience His work, and they covertly exalt and testify to themselves, and they lead others before themselves. When hearing the news that the Lord has already returned, to protect their status and livelihoods, they not only don’t lead the brothers and sisters to seek and investigate, but fabricate rumors, try so hard to condemn and resist the work of God, and hinder us from seeking the work of God. 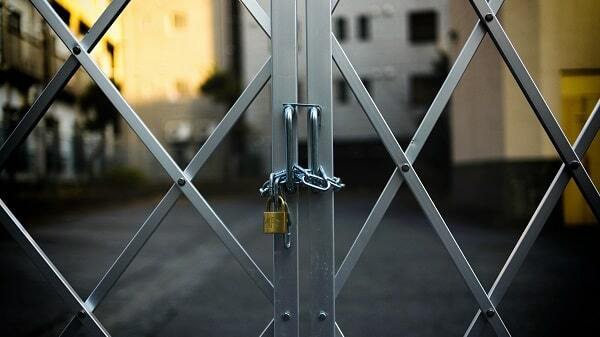 They have become the obstacle resisting God and obstructing people from entering the kingdom of heaven. They are in essence demons that oppose God and living ghosts who devour human souls. “No wonder the priests never let us go and listen to other sermons. Turns out that they only do this to safeguard their own positions and livelihoods. They fear that the believers will follow Almighty God, and then no one will give them any donations, and no one will support them anymore.” After listening to God’s words and the brother’s fellowship, Ming’ai finally understood the reasons behind why the priests flatly deny Eastern Lightning. After listening to this fellowship, Ming’ai thought of how she had rejected the Lord’s coming for over 10 years. She detested that she had believed in God and yet not lived according to God’s word, but instead had blindly worshiped other people. “I’ve been muddled in my belief in the Lord all my life. I believed that everything the priests said was right, and I believed in the Lord only nominally, when in fact I was believing in the priests. I’ve been an idolater! I haven’t believed in the Lord at all!” said Ming’ai remorsefully. Ming’ai said that the videos laid bare all the questions about the case. 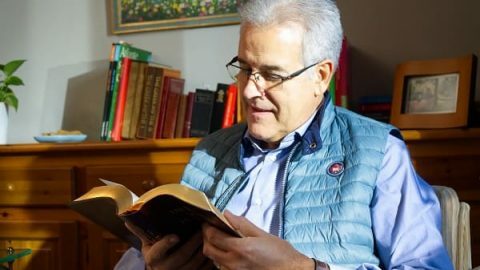 Several of the culprits spoke incoherently and with unsound reason and, surprisingly, they even dared to say that they themselves were God—they were clearly not people to whom The Church of Almighty God would preach the gospel. They themselves did not acknowledge that they were from The Church of Almighty God. 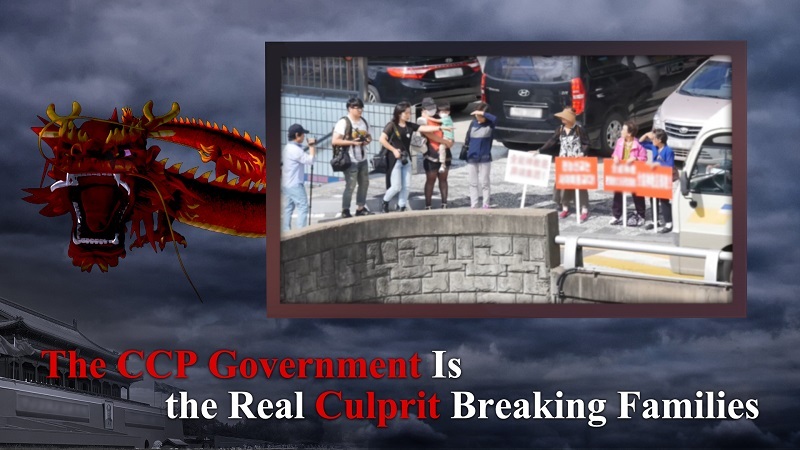 What’s more, at the scene of the murder, there was a very suspicious and mysterious “man in green” who was manipulating events, which proved that the May 28 Zhaoyuan case was concocted by the CCP and bore no association with The Church of Almighty God whatsoever. After watching these two videos, Ming’ai could not stop her tears from falling. “For 11 years, the Lord has sent brothers and sisters so many times to bear testimony to me of God’s work of the last days. They’ve knocked at the door of my heart again and again, but I always refused God entry, believing that everything the priests said was correct and that if I followed the priests then I couldn’t go wrong. I never even had the slightest discernment when they would disseminate the CCP’s rumors. The priests held a higher position in my heart than did the Lord. I am too ashamed to see the Lord….” Ming’ai wept as she told the brothers and sisters of her indebtedness to the Lord. Ming’ai’s internal monologue: 11 years of watching, 11 years of waiting, and God never gave up trying to save me. So many times, God has moved brothers and sisters to come to my home and to do their best to convince me with fellowship, but they couldn’t soften my stubborn, unyielding heart. Were it not for God’s mercy, my life would long since have been destroyed by the words of the priests and the rumors of the CCP. That I have been able to awaken now is entirely due to Almighty God’s great love and patience! I will diligently pursue the truth and fulfill my duty well to repay God’s love! 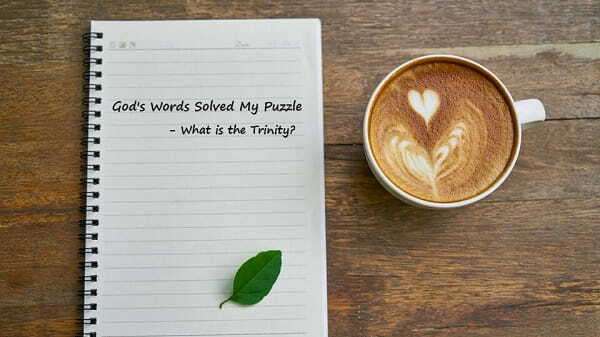 God’s Words Solved My Puzzle – What is the Trinity? What is the Trinity? How can God be three people at once? I got the answer from God’s words, my puzzle finally has been solved! 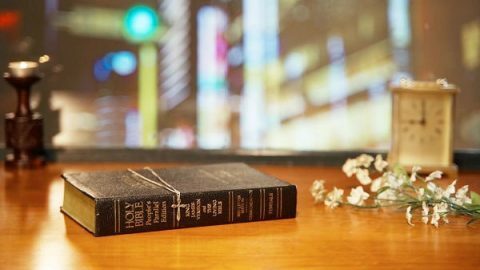 Are All God’s Words and Work All in the Bible? Are all God’s words and work in the Bible. Do you think so? 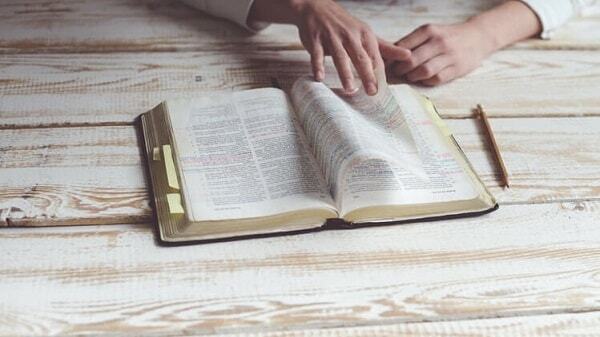 Can the words and work of God in the last days be recorded in the Bible ahead of time?